Touted as India’s first and only luxury train offering tow fascinating journey across South India, Golden Chariot is an ideal option to experience luxury and panache of erstwhile Indian rulers of South. The two itineraries- Pride of the South and Splendor of the South- take guests on a journey, spanning over 8 days and 7 nights, across historically significant, culturally illuminating and naturally beautiful destinations across India. In this blog post, we will talk about the highlights of the day 2 of the Pride of the South journey. A part of the Nilgiri Biosphere Reserve, Bandipur National Park is one of the most famous wildlife sanctuaries in the southern region of India. Spanning across 88 kilometers square, Bandipur National Park was once the private hunting grounds of the Mysore maharajas and is now a protected zone for more than 100 species of mammals including tigers, elephant, leopard, gaur, chital, sambar, langur and sloth bear. Only government vehicles are allowed to run safaris within the park and the best option is to go on Bandipur Safari Lodge’s two hours drive inclusive of park’s entry fees. The forest department too arranges Safaris for them. • The day will start with a sumptuous breakfast in the jungle environs. • Later, you will set off on a road trip to explore the wildlife environs of Bandipur National Park. • At 1:00 PM, you will enter in Kabini. • Enjoy lunch in the jungle lodge and later head straight to the Bandipur National Park. • Dinner and overnight stay in the jungle resort. India did not stay behind to shine in the list of Asia Winners 2013. The Golden Chariot was voted by travel agents worldwide and announced as the Asia’s Leading Luxury Train 2013 at the 20th World Travel Awards. Other luxury trains nominated for the same category were Deccan Odyssey, Eastern & Oriental Express, Maharajas’ Express, Palace on Wheels, and The Indian Maharaja. Apart from this, the train was also nominated for the 2013 World’s Leading Luxury Train. La Cigale Hotel (Doha, Qatar) hosted the glittering ceremony of the 2013 World Travel Awards Grand Final on 30th November 2013. To celebrate the leading travel and tourism brands, the ceremony was attended by some industry’s elite such as CEOs of leading travel companies, tourism board chiefs, government ministers, and guests of honor HE Sheikha Al Mayassa bint Hamad al-Thani, chairperson of Qatar Museums Authority and Sheikh Jassim bin Abdulaziz al-Thani. At the award ceremony, India also benchmarked its presence in the travel and tourism Industry by bagging some of the prestigious awards. ‘Incredible India’ was awarded as the World’s Leading Tourist Board, 2013. On the other hand, ‘The Raj Palace, India’ also won the World’s Leading Heritage Hotel, 2013 and ‘Maharajas Express’ also bagged the award for World’s Leading Luxury Train, 2013, for the 2nd consecutive year. The southern region of India is praised for its unspoilt beauty and natural setting. There also are numerous hill stations that are renowned to be the best travel destinations for leisure travelers. Along with the vivid colors of nature, travelers can also visit architectural attractions such as temples, caves, monuments, etc. Here is a small list of top five selective hill stations of South India that you should must visit. Ooty (Tamil Nadu), “the queen of hills”, is fair enough to be on the list of top five hill stations of South India. The natural beauty, pleasant climatic conditions and numerous tourist attractions make it a sought-after travel destination in India. 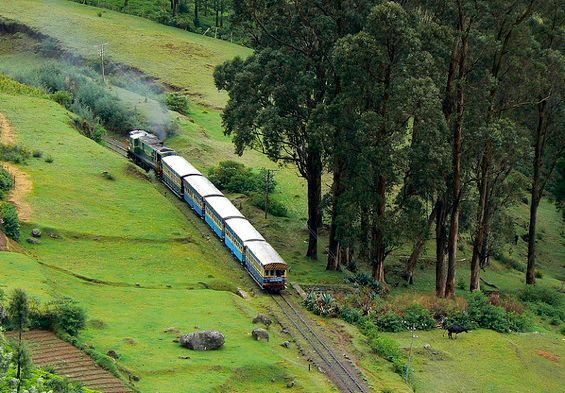 During the months of summer, Ooty is flocked by tourist from all parts of the world. Doddabetta, the highest peak in Nilgiri, is one of the major attractions in Ooty. Moreover, there also are attractions such as The Government Botanical Garden, Lake View, Pykara, beautiful tea plantations, etc. 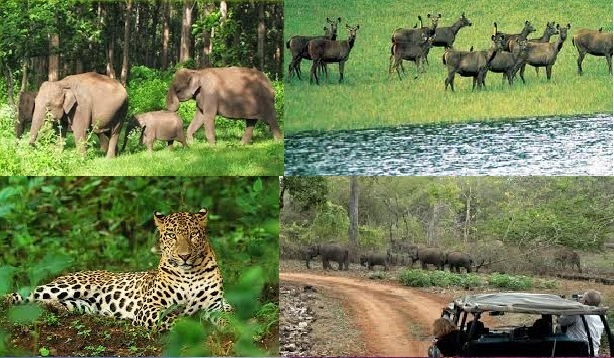 The rich flora and fauna could also be spotted in Mudumalai Wildlife Sanctuary. Munnar (Kerala) is a beautiful and an incredible hill town in South India. The congregation of three mountain streams, namely Mudrapuzha, Kundala and Nallathanni., bestow the place with an unspoilt beauty. There also are beautiful lakes where nature lovers can spend some time in adoring the nature and settlement. Tourists can also add the element of thrill and excitement via various activities such as Paragliding. Some of the other tourist attractions in Munnar are a Chinnar wildlife sanctuary, Evarikulam National Park, The Christ Church, and Mudapetty Dam. 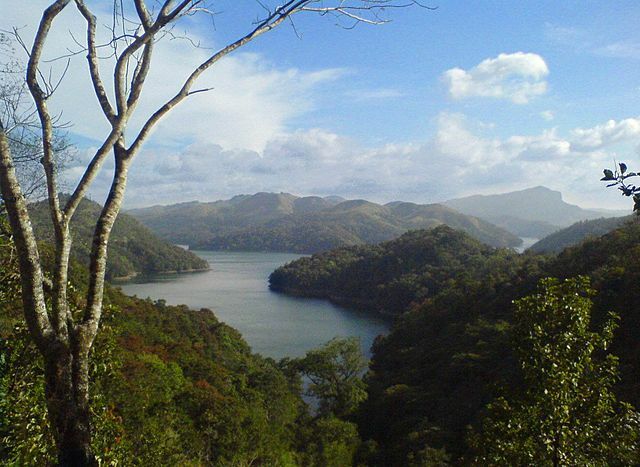 Idukki (Kerala) is regarded as a nature blessed hill town of South India. The wildlife sanctuaries, mountain trekking, elephant rides, etc., are some of the attributes that make this hill town a sought-after destination. Thus, Along with nature lovers, adventurous travelers also feel attracted to this hill town. The lush green forests also add to the beauty of the place. Moreover, the place also offers some of the heart-throbbing scenic views of the surrounding. The old-world charm of the Coorg (Karnataka) has attracted tourists from all parts of the world. The peacefulness of the place and natural setting is adored by visitors. 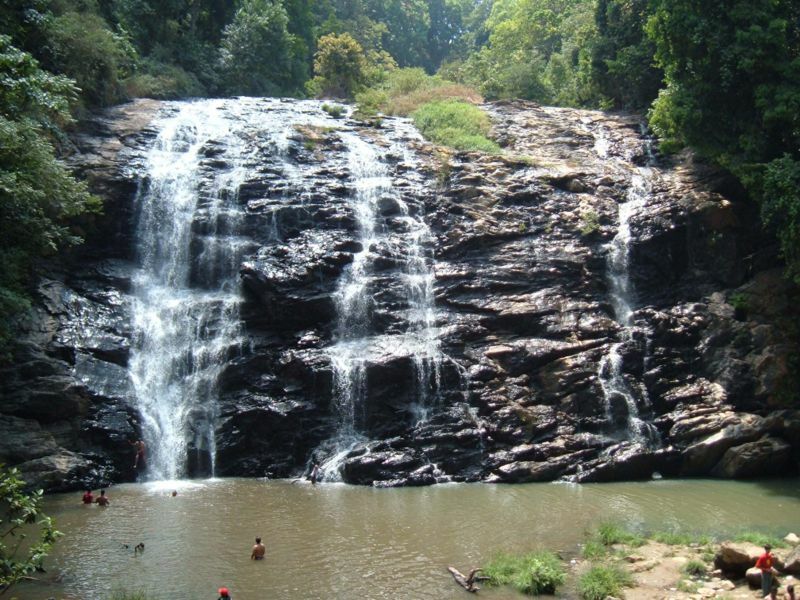 Tourist attractions such as Iruppu Falls, Abbey Falls, Madikeri Fort, and Raja’s Seat, also make this place worth a visit. Moreover, Coorg is also a favorite destination for wildlife enthusiasts as it features Nagarhole National Park. 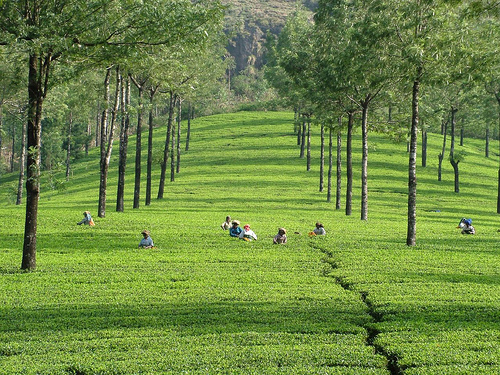 Coonoor (Tamil Nadu) is located at a very short distance from Ooty. For a memorable trip, tourists at times combine both the destinations in their itinerary. 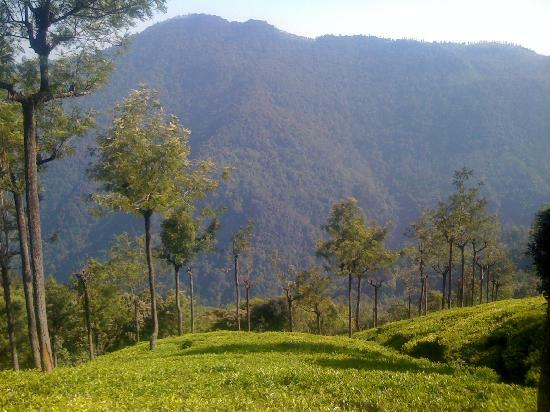 Coonoor is majorly famous for its tea gardens. Moreover, tourists can also visit attractions such as Sim’s Park, Pomological Station, Pasteur Institute, Law Falls and Lamb’s Rock. The distinctive culture is one major attribute that distinguishes South India from other regions of the country. Apart from this, every state in South India upholds a distinctive identity. The architectural brilliance is also witnessed in south India and the same is reflected in intricate temples. The visitors could also find historical ruins, hills, palm fringed canals, and beach to explore and make the south India tour interesting. So, get ready to explore the distinctive South India and do not miss to visit these top 5 tourist places. 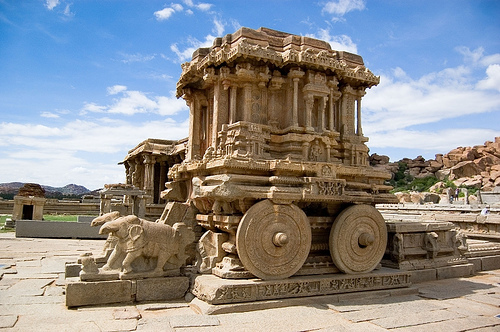 The historical significance makes Hampi a must visit destination in South India. Hampi served as the last capital of the greatest Hindu empires, Vijayanagar. The ruins of the past are extremely captivating and date back to the 14th century. Hampi extended over 10 miles (25 km) and consists of more than 500 monuments. The visitors could feel an incredible energy here. Moreover, Hampi is also a great getaway from Goa. 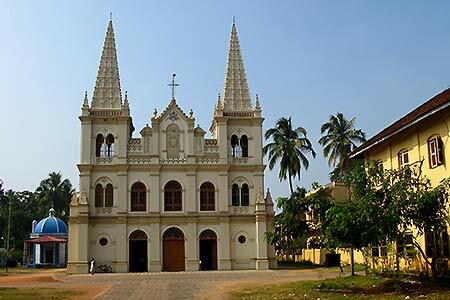 Kochi is perfectly dubbed as ‘Gateway to Kerala’, and is praised for its eclectic influence. The city reflects the imprints of British, Arabs, Chinese, Dutch, and Portuguese invaders. The visitors distinguish Kochi from the Chinese fishing nets at the waterfront. The structures holding architectural and historical significance also make Kochi a must visit destination in South India. For the best experience, it is advisable to explore Kochi on foot. Further, to make the trip worthy, you may enjoy traditional Kathakali dance or get pampered with an Ayurvedic treatment. Kerala is a must visit destination for travelers looking for a relaxing and rejuvenating vacation. 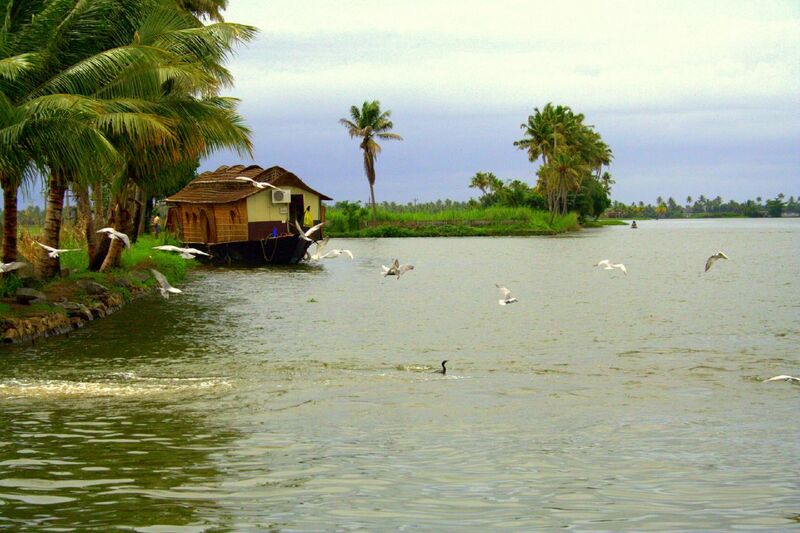 Houseboat trip along the backwaters is one of a kind experience. As the houseboat sails across the palm-fringed Kerala canals, delicious Indian food and chilled beer are also served onboard to make the trip memorable for the guests. The breathtaking Varkala beach in Kerala has left the visitors spellbound. The stretch of cliff and panoramic views of the Arabian Sea are fascinating elements that make surroundings pleasant. One could find coconut palms bordering the cliff, quaint shops, hotels, beach shacks, and guest houses. 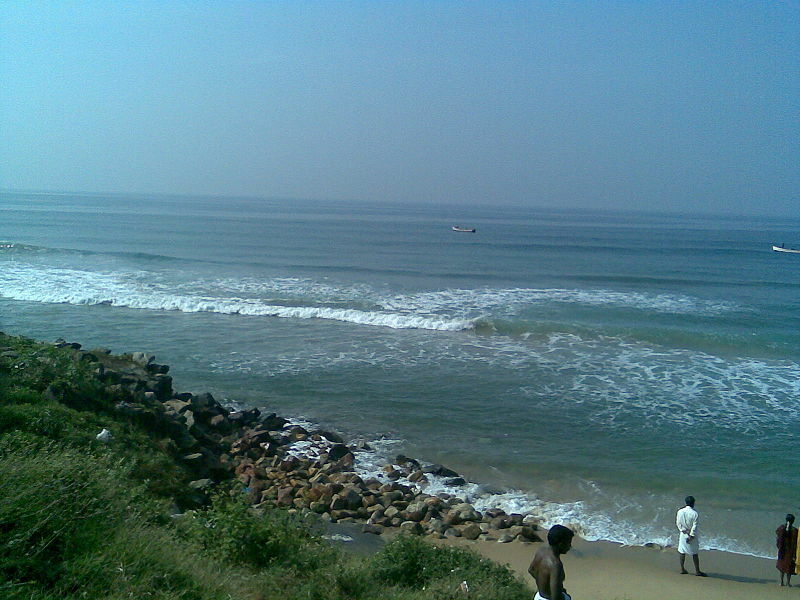 Varkal beach is also listed as the best beach of India. Temple festivals, celebrated during late March – early April, is very popular and worth attending. Meenakshi Temple, the most important and impressive temple, makes Madurai a must visit travel destination in South India. The existence of the city dates back to more than 4,000 years old. 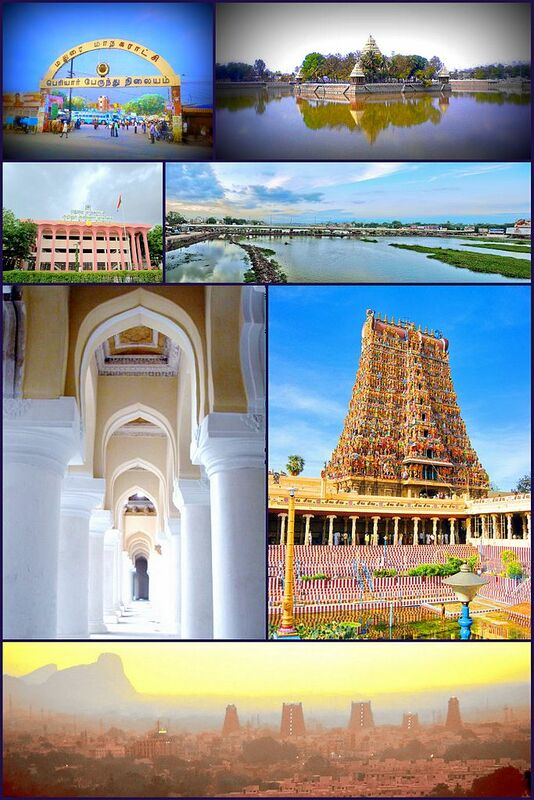 Since then, the city is renowned as a major center for learning the Tamil culture. Various magnificent temples and structures were built during the rule of Nayak Dynasty. The footfall in Madurai is high due to tourists and pilgrims flocking from all parts of the world. During April each year, the 12-day Chithirai Festival is held in Madurai. This festival features a re-enacted celestial wedding of God and Goddess.